Higher quality red official Red Sox jersey has all of the right tagging. 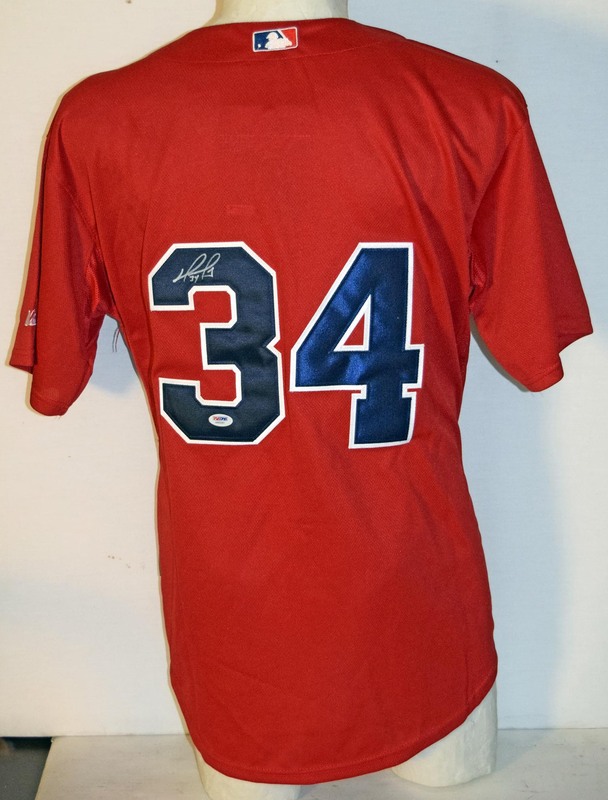 Ortiz signed this in flowing silver sharpie ink with his number 34. PSA DNA Card.